"Version 2" of TOPALi is a complete overhaul to the original TOPALi. 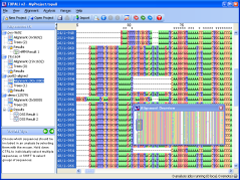 Analyses methods that used to run locally within TOPALi can now optionally run remotely on high-performance compute clusters. Please do not hesitate to contact us at help@topali.org if you have any further queries or comments about this software. TOPALi was programmed by Iain Milne and Dominik Lindner. Its analysis methods contain code from Dirk Husmeier, Gràinne McGuire, and Adriano Werhli. The TOPALi project is managed by Frank Wright and was funded by the BBSRC.